Many people come visit time and time again, not because of the location alongside the Main River and the ease of getting here. No, it has everything to do with the unique atmosphere that simply makes you feel good. It’s a special mix of culture and ambiance, of world heritage and wine festivals, of modern and classical music, of avant-garde and age-old traditions, of sciences and party atmosphere that makes this town so popular. 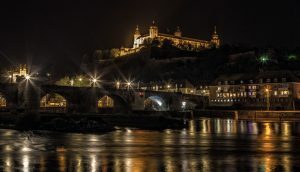 The stunning historical architecture provides the perfect setting for everything Würzburg has to offer. There are many hotels and restaurants that are looking forward to your visit. Enjoy a glass of Franconian wine or great food before and after the event of your choice.